Textile handicrafts are traditionally made by women. This work enables them to contribute to family resources. Traditional weaving renowned around the entire Mediterranean basin mainly from the Morocco cooperative was created with the goal of developing a channel for quality fashion accessories and increasing the income of the women producing them. Although teaching them the skills and message behind might be a challenge, we are pleased to offer them a chance to establish themselves in the local community. 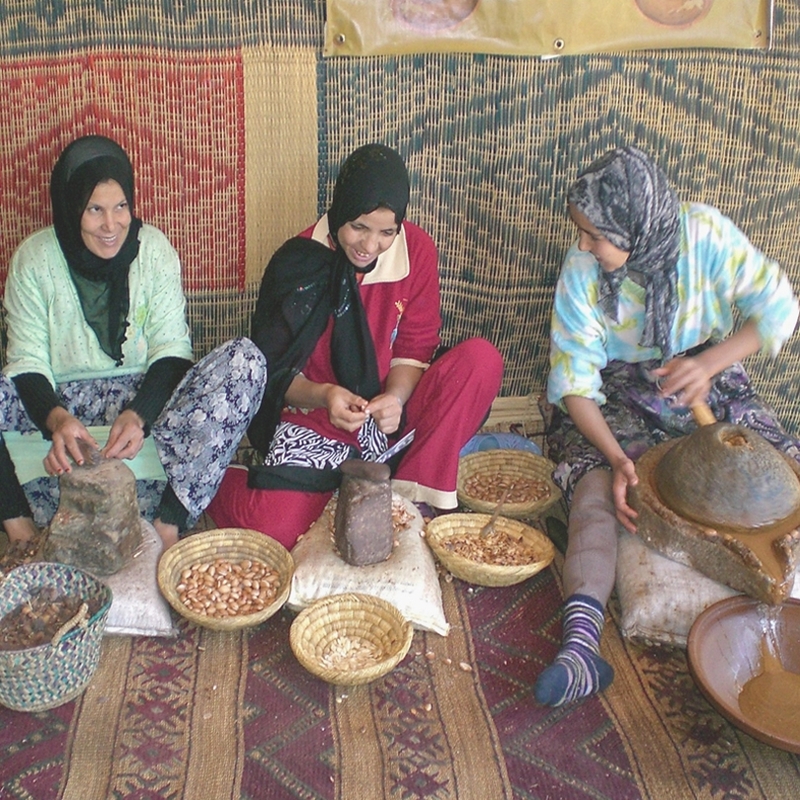 Now all Relaxso's essentials oil also use natural flowers and herbs hand-picked and are produced locally by the cooperative female workers from Morocco.